Historically Worcester’s LGBT Community Venue. (Formally The Brewery Tap). Established for over 10 years, we are Worcester’s tried, tested and best party atmosphere for miles around. 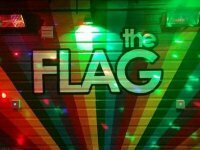 The FLAG Worcester is fully licensed until 04:00am on our party nights, and we have flexible closing hours during the week, which is ideal for continuing your fun evening out in a chilled out, attitude free atmosphere. We have some of the latest cutting edge sound, lighting and visual effects in our purpose built resident DJ booth making that all important atmosphere for your complete party experience. With our large bar area, we boast some amazing drinks choices and a popular funky choice of draft beers and ciders at incredible prices! We also run weekly promotions to ensure we are ultimately “Pink Pound” friendly for the whole community.